You don't have to do both of them, just choose the one you like more. As for me, I will do both. 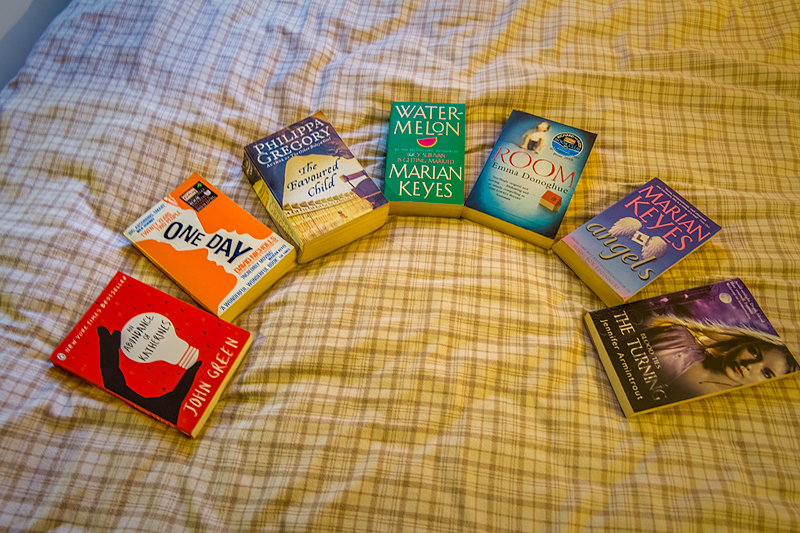 For the cover challenge, you have to pick books from your shelf and make a rainbow using the covers. The colors are: red, orange, yellow, green, blue, indigo and violet. Then take the photo and share it on twitter or, like I will do, on your blog. V - Vaughan, Brian K.